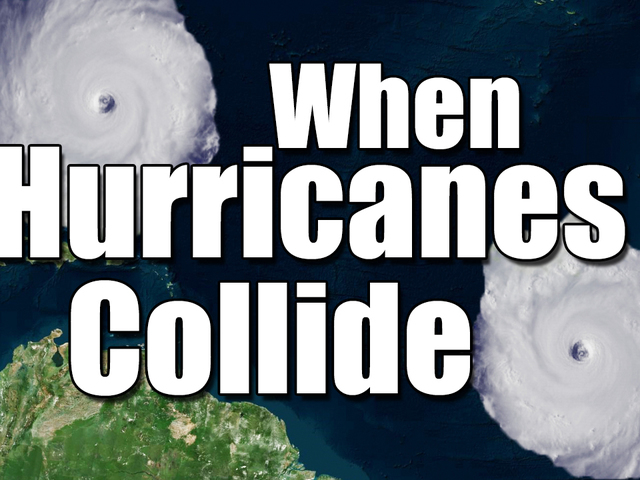 Could Hurricane Matthew and Tropical Storm Nicole collide? 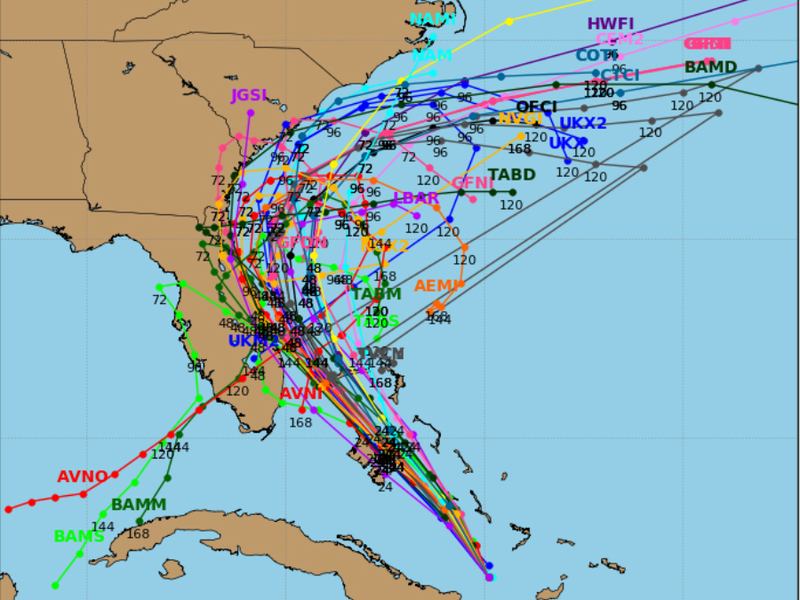 Should Florida brace for two hurricane strikes? Hurricane Matthew is tearing through the Bahamas today as Florida and the rest of the Southeast United States prepare for the worst. 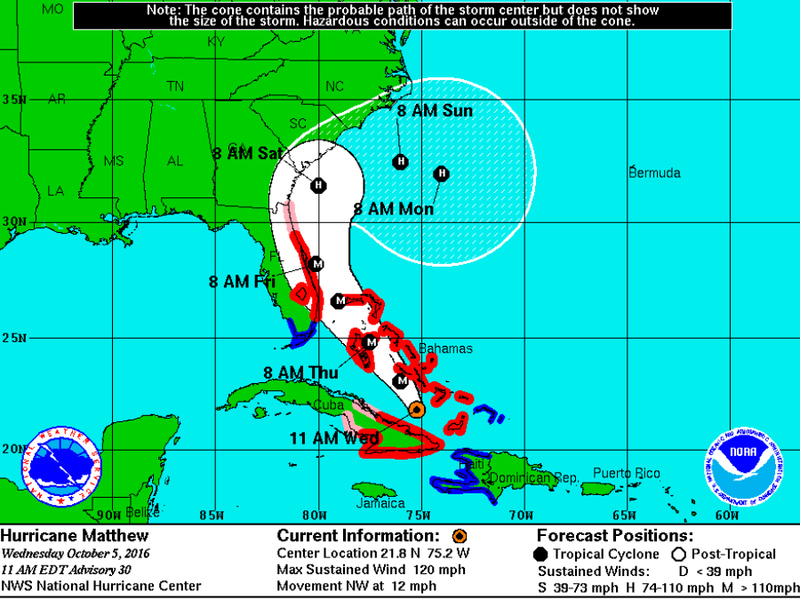 Hurricane watches and warnings stretch up and down Florida's Atlantic Coast. Current forecast tracks for Hurricane Matthew show the possibility for a brief Florida landfall within the next two days. Once the hurricane makes it past Florida is when it gets interesting. In the past day, Tropical Storm Nicole quietly formed in the Atlantic to the northeast of Matthew, and this new storm could alter Matthew's course for the worse. Initially, every forecast model was expecting Matthew to ride up the East Coast and eventually go out to the Atlantic, but now the two tropical systems could interact with one another in something called the Fujiwhara Effect . This means instead of heading up the East Coast, Matthew could turn around and head back toward Florida, possibly even making a second landfall! This possibility is still nearly a week out and highly speculative, but some forecast models are beginning to show this while others simply show Matthew making a loop before heading farther into the Atlantic. It wouldn't be the first time something like this has happened, either. 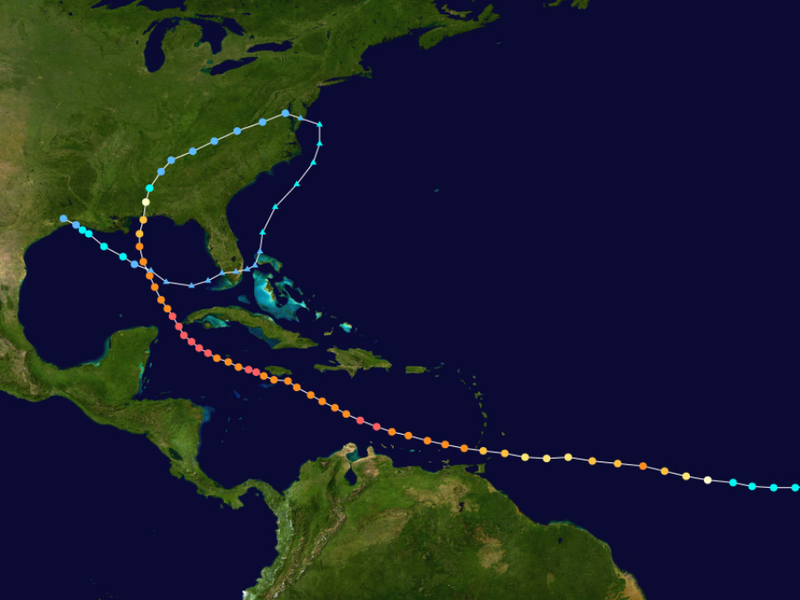 Hurricane Ivan in 2004 has already shown a similar path to that of Matthew. That storm began well south of where most tropical systems formed, passing near South America before making a hard turn to the north. The only difference was Ivan turned into the Gulf of Mexico instead of heading straight into the Caribbean. Ivan made landfall in Alabama before curving across the Southeast United States and returning to the Atlantic to only head south toward Florida and eventually west into the Gulf of Mexico for a second time. The storm eventually made a third landfall in Louisiana before completely fizzling out. Only time will tell, but Matthew's course could look eerily similar to Ivan from 12 years ago, which would make for a rough week in Florida.